Introducing a BRAND NEW WAY of learning about Essential Oils! DO YOU WANT TO KNOW MORE ABOUT THIS NEW WAY OF LEARNING ABOUT ESSENTIAL OILS? 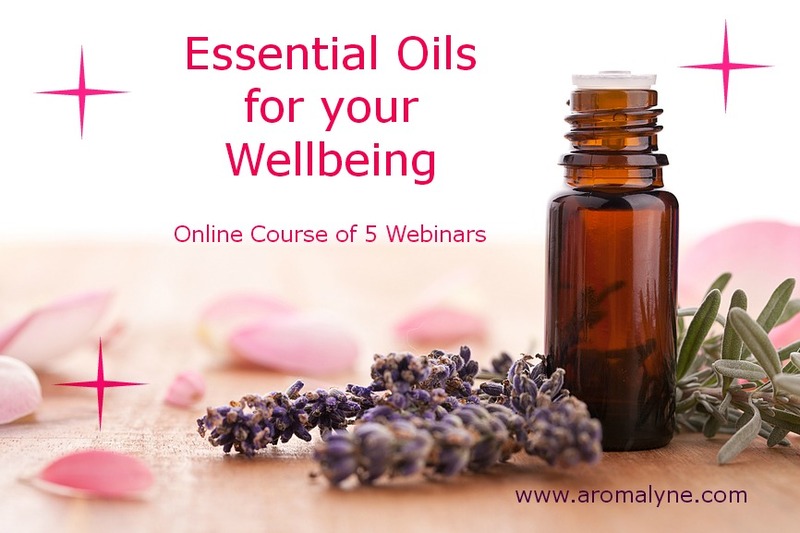 Sign up for this amazing brand new course of 5 webinars all about essential oils and how to use them safely and effectively! Scroll down for more information and amazing special offer! This is an amazing unique online course made up of 5 Webinars (each 1 hour long). Do you want to learn more about essential oils and how to use them but just don’t have the time to attend a course? Would you like to register for a course and be safe in the knowledge that if you are not able to attend on the night you will still receive all the course information? Do you already work with essential oils and would like a refresher course? Would you like to support your health naturally using essential oils? If yes, then this is the course for you! If you want to know more about essential oils to use at home. If you are too busy to attend a course then a course of webinars is a great way to learn. If you cannot attend live you will get the links to all the recordings. If you are an aromatherapist and want to refresh your knowledge. If you are a therapist and thinking about studying aromatherapy then this is a great introduction to essential oils. If you are thinking about studying to be an aromatherapist then this will be a great introduction for you. Your course tutor is Christina Lyne an experienced Aromatherapist and Trainer in Aromatherapy. This course is made up of 5 Webinars. The meaning of Therapeutic Properties. 3 popular essential oils; Geranium, Lavender and Rose. How to create your synergistic blend including top, middle and base notes. What are the correct blend dilutions? 3 popular essential oils; Tea Tree, Black Pepper and Rosemary. Why blend in different bases? Aromatherapy is not just about massage! 3 popular essential oils; Eucalyptus, Roman Chamomile and Sandalwood. Contra-indications – when should you not use essential oils? 3 popular essential oils; Juniper, Lemon and Ylang Ylang. Safety, handling and storage of essential oils. 3 popular essential oils; Sweet Orange, Frankincense and Clary Sage. A copy of the recording of the webinar. A copy of the webinar powerpoint slides. A webinar manual containing the information given during the webinar. Free access to the Aromalyne Forum where you can post up any questions and have access to all the free information on the forum. You will still get all of this even if you cannot attend on the night!! Don’t forget if you cannot attend on the night don’t worry you will still get a copy of the recording so you will never miss out!! Take advantage of this amazing EARLY BIRD OFFER!! Book and pay for your place by midnight on Monday 23rd June 2014 and pay just £45!! That is less than £10 per webinar! A saving of £22! Don’t forget if you book and pay for your place by midnight on Monday 23rd June 2014 you will pay just £45! !